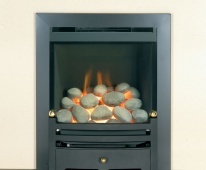 These fires can be fitted in situations where there is no flue or chimney available. 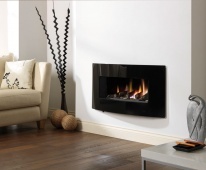 All you need is an outside wall situation for the fire to fit to in Your room. 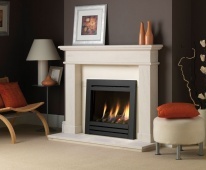 There are numerouse types of fire available .... You can choose from a Fireplace and Fire type installation or even a Hole-in-the-wall type installation. 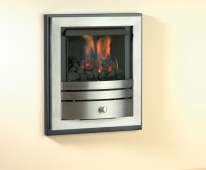 All Of The Above Fires are Displayed at our New Road Showroom. 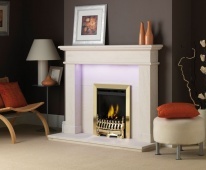 The Fires are Connected "Live" So You Can Really Appreciate What the Fire will Actually look like in Your Home!!! Our Advice is ........Do Not Buy A Fire Unless You have seen it Working First!! Phoenix Fireplace World have invested a huge amount into the New Road Showroom, giving our customers a Real Live Fire experience!! Most of our 100 + fireplace displays are "LIve" so you can see what the fireplace and fire are "really like"